Home values continue to rise at Crystal Creek subdivision. There are currently 2 homes listed for sale and so far this year, 8 have sold. $295,000. 4264 Woodstream Drive. 2184 square feet with 4 bedrooms and 2.1 baths. $290,000. 4154 Crystal Creek. 2202 square feet with 3 bedrooms and 2.1 baths. $285,000. 4380 Woodstream Drive. 2352 sq. 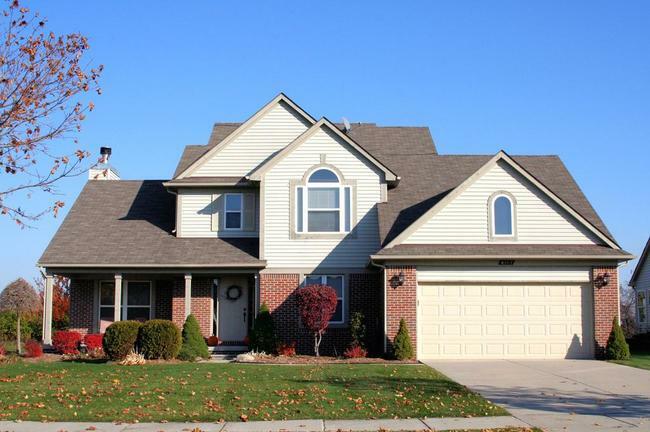 ft., +1587 in finished lower level, 4 bedrooms and 3.1 baths. $284,000. 4253 Woodcreek Drive. 2264 square feet with 5 bedrooms and 2.1 baths. $270,000. 4102 Woodcreek Drive. 2184 square feet with 4 bedrooms and 2.1 baths. $270,000. 4268 Woodstream Drive. 2352 square feet with 4 bedrooms and 2.1 baths. $250,000. 4088 Ridgewood Drive. 1734 square feet with 3 bedroom and 2.1 baths. $241,000. 4366 Woodstream Drive. 1692 square feet with 3 bedrooms and 2 baths. $235,000. 4333 Woodstream Drive. 1700 sq. ft., +650 in finished lower level, 3 bedrooms and 2.2 baths. Last year, 5 homes sold with an average sale price of $265,380 and an average price per square foot of $131.00. For the homes sold this year, the ASP and the A$SF only changed slightly. For more information on home values, statistics, homes for sale and more at Crystal Creek subdivision, contact us at The Bouma Group at 734-761-3060 or email info@bouma.com. See more Ann Arbor Neighborhoods here!